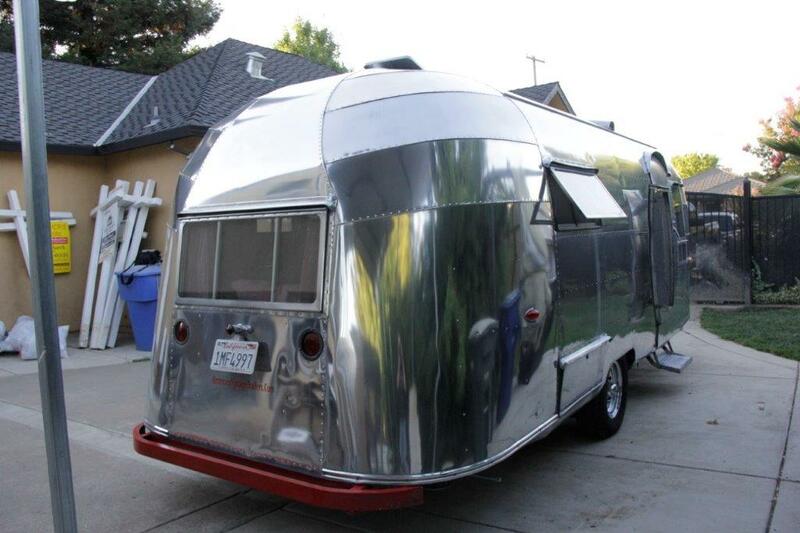 1955 Airstream WHALE TAIL 13 PANELS FLYING CLOUD. Update as of 8/6/16: It has now came to my attention that this Whaletail Flying Cloud is a 1955, not a 1954. I was also informed that it was manufactured in the California Factory. The California Title will however still show 1954. 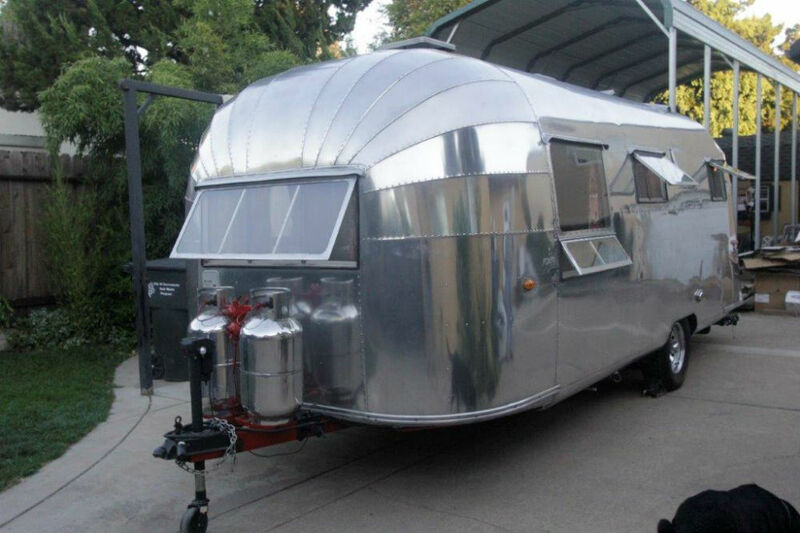 This beautiful 1954 Airstream Whale Tail has been very well maintained its entire life and has just received some very nice modern updates which are all very well hidden so as to preserve the integrity of the fabulous mid-century modern gem. It’s ready to go camping. 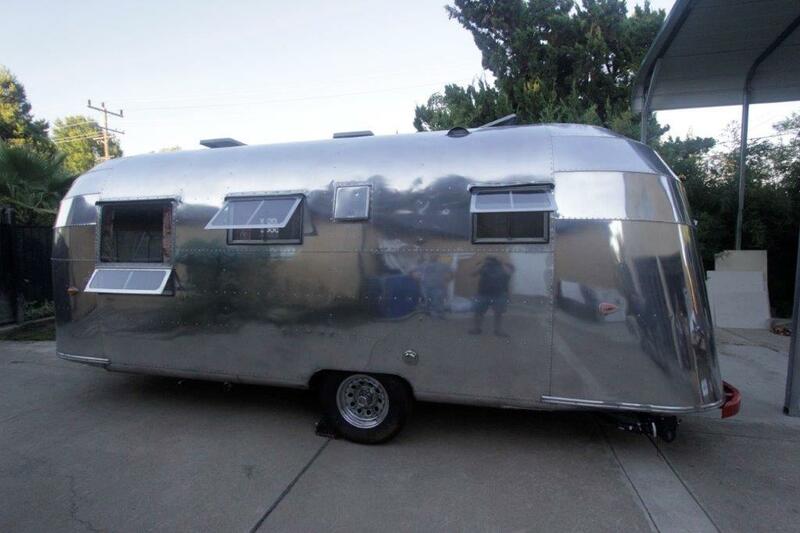 This is the first year of the Airstream Wale Tail. Front is 13 panel and the Whale Tail is in the rear. 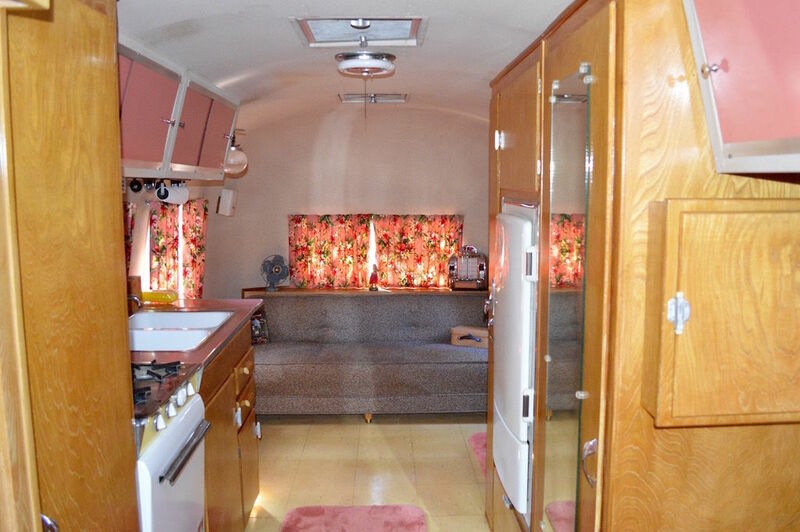 The care that has been taken of this Airstream it’s entire life is no more evident anywhere than the original Zolatone interior that looks like new. The original Marvel refrigerator is still chilling. The original Princess stove in yellow, chrome and white is just waiting to fix the next meal. The original water heater works as does the original wall furnace. An Airstream trailer company just installed grey and black water tanks with electronic monitors. The fresh water tank has been replaced and a new Sur-flo pump installed. All the original fixtures were used and the original hand pump is still on the counter just for that authentic old school look. The electrical system has been completely updated with a new Progressive Dynamics combination AC/DC power box which has its own internal Inteli-Power battery converter/charger. Integrated into the system is a new 2000-watt pure sine inverter. All the original interior lights were replaced with LEDs, though you can’t tell because all of the original light fixtures are still in use. The way this Airstream is set up, you can go from shore power to battery power and back without ever touching a switch. Everything is automatic so when you plug into shore power, the inverter atomically turns off and the converter starts. All the while 110v is supplied to all the plugs and lights. There are two brand new Optima RV batteries to give you many hours of boon docking pleasure. Also great additions are the electric jack and frame mounted leveling jacks. 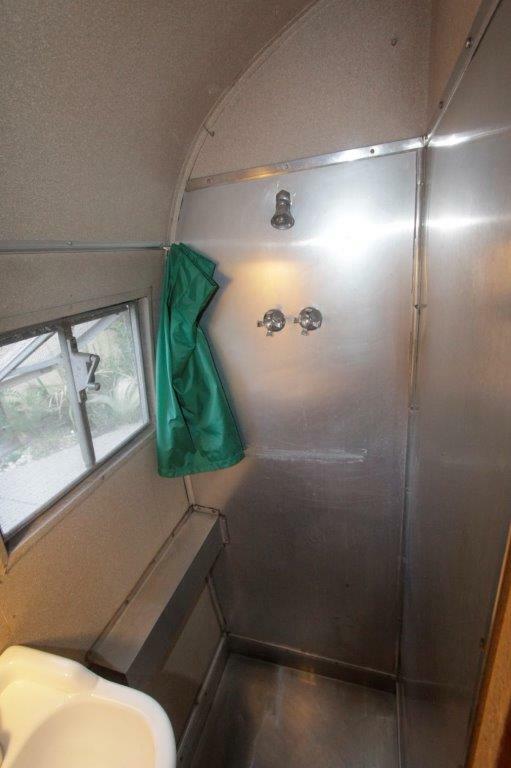 Great care was taken when updating this very original Airstream to hide the updates. 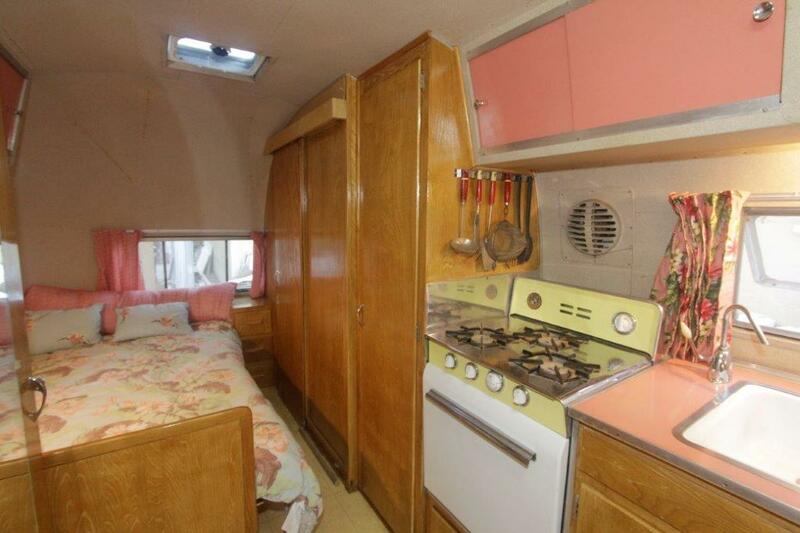 Unless you open the closet door, you would never know this Whale Tail was updated. It looks like you are stepping back in time. Yet, it’s all set up for boon docking. The only things that won’t work without shore power are the original Marvel Refrigerator that is designed to be used as an ice box and the electric water heater. The inverter will provide plenty of power for a TV or small microwave. 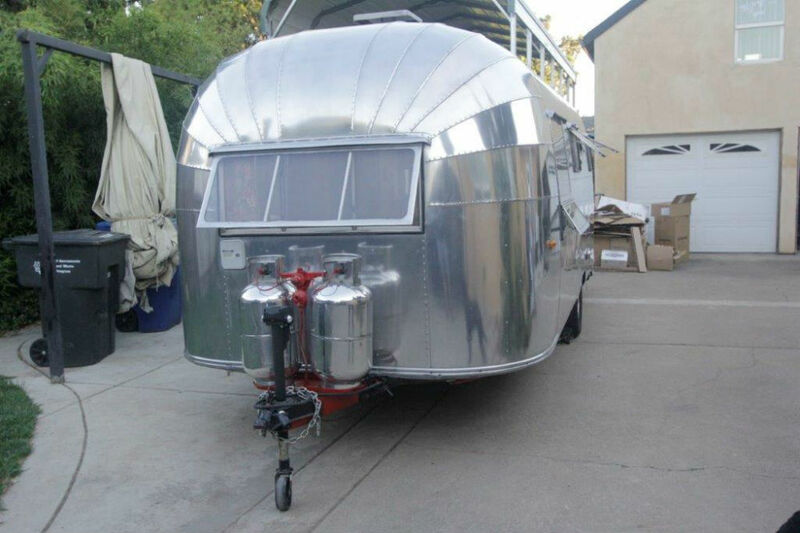 At 22 feet, this Airstream Whale Tail is the perfect size. It’s not too big, yet not too small. 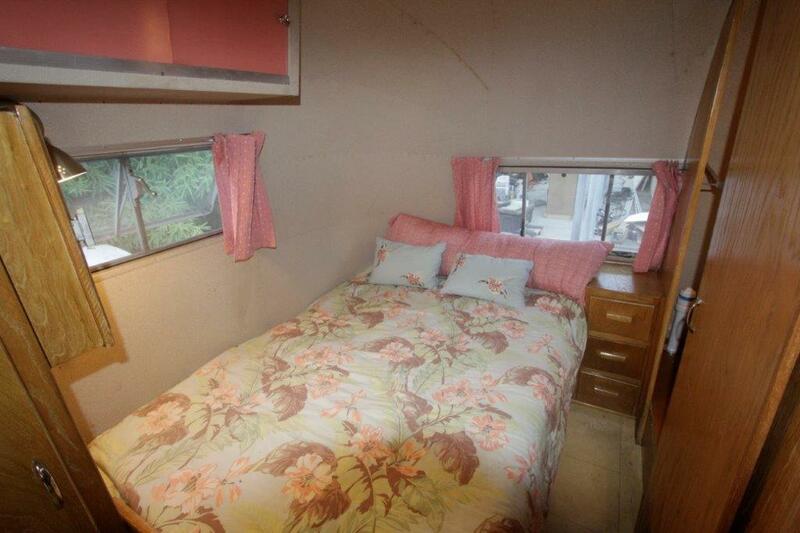 There is a permanent double bed in the back and the bathroom has a nice stainless steel shower. 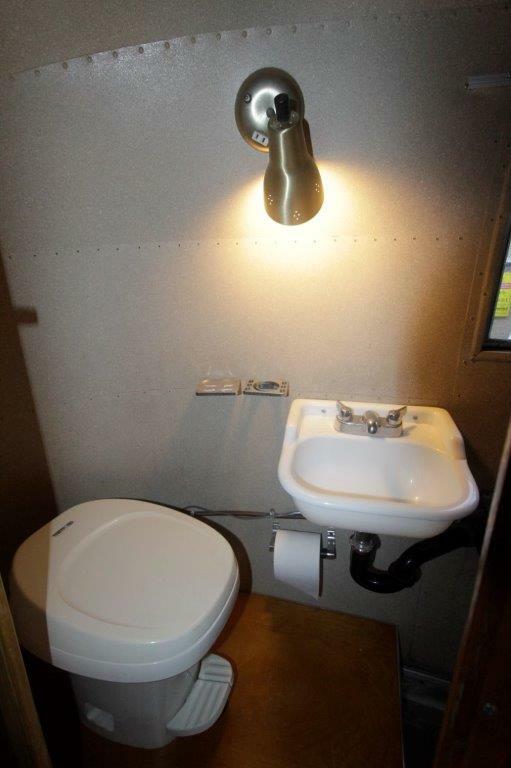 The toilet has been replaced and a black water tank added. There is a marvelous period couch that may be the original. It fits perfectly. The curtains have all been replaced. The original condition of this Whale Tail is just incredible and the updates were done right. Time to go camping. 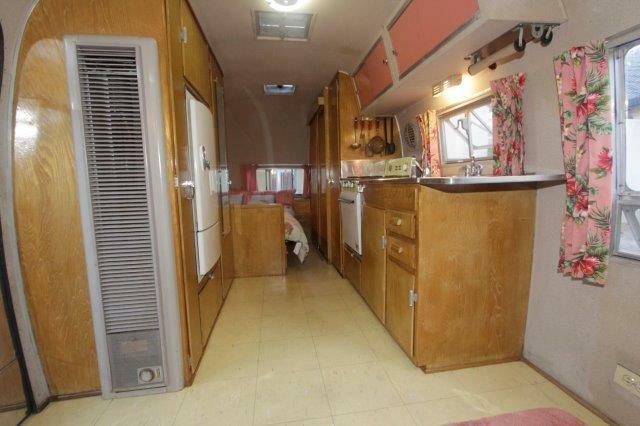 This Airstream is being advertised elsewhere and seller reserves the right to end this auction early.